Roma has beaten Sampdoria to nil twice this term so getting odds against about the Wolves making it three bloodless victories over Samp is something that one should take. While Roma will be a very popular inclusion in millions of football accumulators this weekend, the second-placed Wolves qualify as the best Italian Serie A bet because Paddy Power is quoting them at odds of 2.30 to defeat 12th-placed Sampdoria and keep a clean sheet at the same time. And it is not just Roma’s Italian Serie A home record of nine wins, two draws, no losses and only two goals let in that should get one excited about odds of 2.30 that the Wolves keep the pressure on Juventus at the top of the ladder with a clean-sheet victory over Sampdoria. It is particularly exciting that Roma and Sampdoria have locked horns twice this season already and that the Wolves have prevailed in both matches without conceding a goal. Roma beat Sampdoria in the fifth round of Italian Serie A games 2-0 at the Luigi Ferraris in Genoa. 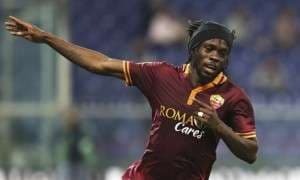 Roma dominated possession and eventually broke down Sampdoria’s stubborn defence, Mehdi Benatia opening the scoring in the 65th minute and Gervinho completing the job not long before Andrea Costa’s red card reduced the home side to 10 men. The Coppa Italia thrust together Roma and Sampdoria in the last 16, with the match taking place in the Italian capital city. Roma bossed the game from the outset and took the lead through Vassilis Torosidis in the sixth minute. It was to be the only goal of the match so Roma progressed to the Coppa Italia quarter-finals and a home tie against Juventus. Sassuolo and Napoli are two of the more exciting Italian Serie A teams to watch so one should be interested in the odds of 1.75 that BetVictor is offering about their David versus Goliath clash going over two and a half goals. Only the Italian Serie A games of Verona have featured more goals than those of Napoli. Rafa Benitez’s side has played 23 top-flight matches in which there have been 74 goals at an average of 3.22 per game. 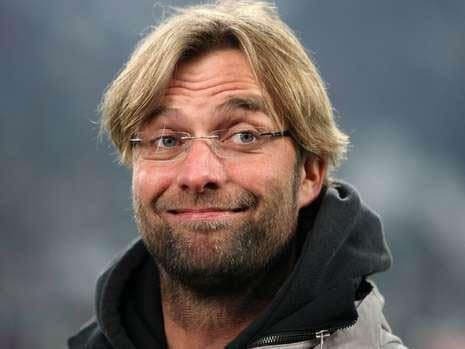 Napoli has yet to feature in a 0-0 draw, just one of its matches has had fewer than two goals and 14 of its games have gone over two and a half goals. Sassuolo is another Italian Serie A team that is a friend of over-two-and-a-half-goal punters. Thirteen of Sassuolo’s 23 Italian Serie A matches have gone over the benchmark total and its games are averaging 3.13 goals – fourth behind only Verona, Napoli and free-scoring table-topper Juventus. The reverse Italian Serie A fixture between Sassuolo and Napoli did not go over two and a half goals but it was on track to do that and more. Both sides scored in the first 20 minutes only to tease over punters for the next 70 minutes. Finally, the contrast between the home form of Fiorentina and the away form of Internazionale means that the Viola should be trading at much shorter odds than the 2.20 that BetVictor are offering about three points for them. Napoli is only team to lower Fiorentina’s colours at home in any competition this term and the Viola’s Florence form has improved as the season has progressed. Currently Fiorentina is unbeaten in its last nine home matches, having won eight, and it is a healthy eight points ahead of Internazionale in the scrap for UEFA Champions League football next season. Internazionale is not going to make up the gap between it and Italian Serie A’s top four – Juventus, Roma, Napoli and Fiorentina – unless it can fix its problems on the road. Internazionale has won only one of its 10 away games since that September afternoon when it put seven unanswered goals past Sassuolo and each of its last five road trips has ended in defeat. Fiorentina should be evens to secure its eighth home victory in the league at Internazionale’s expense.